NEW YORK (AP) — Numerous U.S. states are considering jumping on the legal sports betting bandwagon, even as they struggle with the details of regulating it. How much to tax it, and how to regulate mobile betting on phones are emerging as thorny issues for states. So far, seven states offer legal sports betting: Nevada, New Jersey, Delaware, West Virginia, Mississippi, Pennsylvania and Rhode Island. And although New Mexico has not passed a sports betting law, the Santa Ana Star Casino & Hotel started taking sports bets last month through a tribal gambling compact. At a sports betting conference Tuesday in New York, state representatives from Minnesota, New York and Ohio discussed their states’ interest in such bets. They’re also interested in making sure players are protected, taxes are adequate but not punitive and that mobile gambling is widely accessible. Patrick Garofalo, a Minnesota state representative, said the betting public knows exactly what it wants, and it’s up to states and gambling companies to give it to them. The illegal, unregulated sports betting market is vast; Sara Slane, senior vice president of the American Gaming Association, cited estimates ranging from $150 billion to $500 billion. “All we know is there is a lot of money being bet illegally,” she said. New Jersey won a U.S. Supreme Court case in May clearing the way for all 50 states to offer legal sports betting should they so choose. David Rebuck, director of New Jersey’s Division of Gaming Enforcement, predicted at least 12 states will move “very aggressively” to legalize sports betting in early 2019. New York, one of the largest potential markets, has yet to pass sports betting legislation, but hasn’t given up. 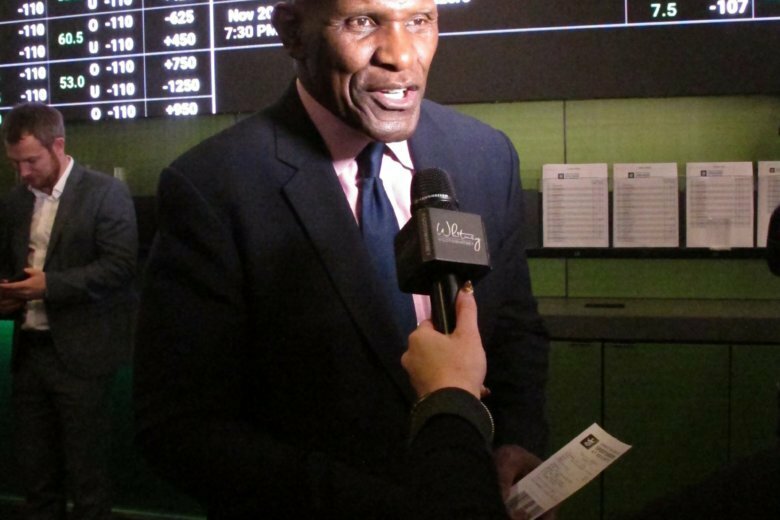 “In New York, sports betting is on its back with its feet and arms sticking in the air,” said state Assemblyman Gary Pretlow. In the meantime, New York is watching many of its residents commute to New Jersey to place bets on mobile apps or at the Meadowlands Racetrack in East Rutherford, just outside New York City. One sticking point in New York’s legislation has been how to regulate mobile gambling, including where gamblers would physically have to be in order to place legal mobile bets, Pretlow said. New York’s next budget is due in April, and the Legislature is waiting to see whether Gov. Andrew Cuomo will include a sports betting proposal in his budget plan, Pretlow added. Ohio state Sen. William Coley, president of the National Council of Legislators from Gaming States, said there is interest in the Buckeye State in sports betting, but a plan has yet to be agreed upon. Taxes are a thorny issue: Set them too high, and you make it difficult if not impossible for gambling companies to make a profit. New York had considered a rate of 8.25 percent, while Minnesota eyed a 10 percent rate. Ohio has not yet agreed on a number while Pennsylvania set its tax rate at 36 percent — four times the rate of neighboring New Jersey. Also on Tuesday, sports book operators formed an association to patrol the industry and root out fraud. The Sports Wagering Integrity Monitoring Association is based in Atlantic City and headed by George Rover, the former deputy director of the New Jersey Division of Gaming Enforcement. It plans to partner with state and tribal gaming regulators, federal, state and tribal law enforcement to detect and report illegal and unethical activity. Officials from MGM Resorts and Caesars Entertainment will serve on its board.